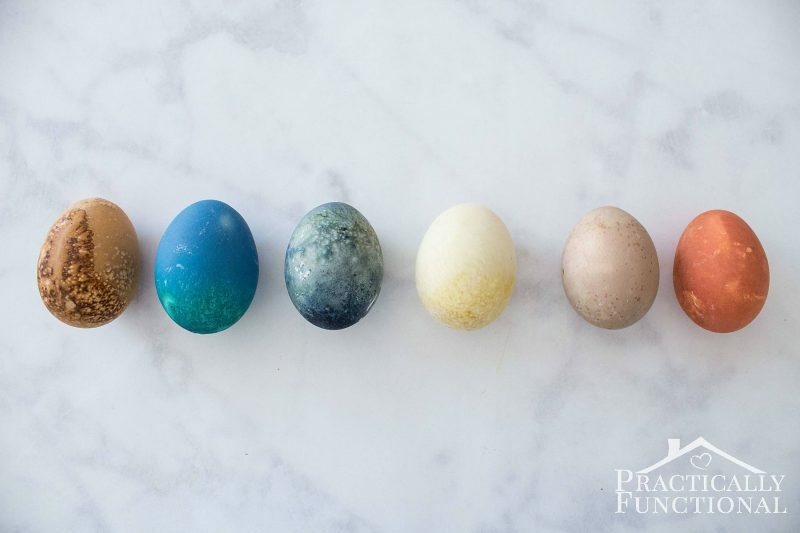 How To Dye Easter Eggs Naturally - The Ultimate Guide! 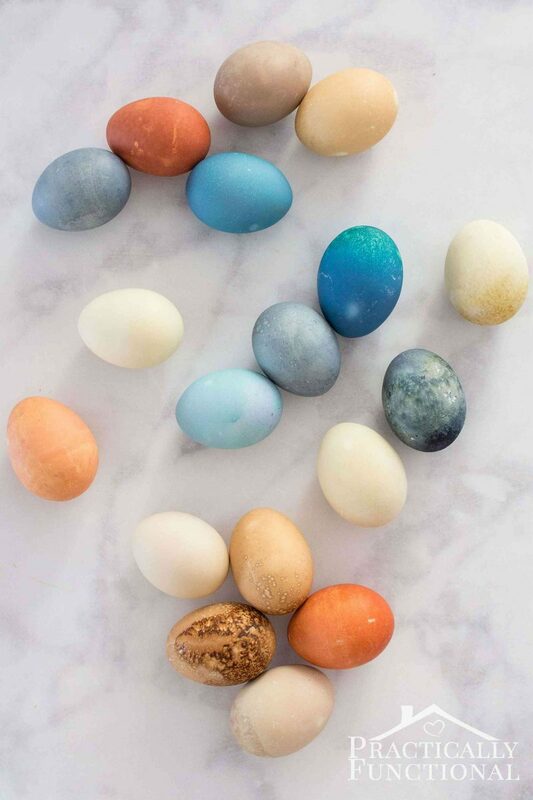 Home > Seasonal & Holiday > Easter > How To Dye Easter Eggs Naturally – The Ultimate Guide! I love dyeing Easter eggs; you can get so creative with the colors and patterns you make! 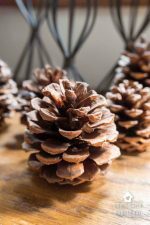 This year I decided to try something a little different, and it worked great! So today I’m going to show you how to dye Easter eggs naturally using unconventional things you might already have in your kitchen. I’ve provided a comprehensive color chart below so you can decide which colors you want to try making! 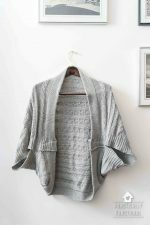 You can sometimes get some surprising results when using natural dye for Easter eggs, but that’s part of the fun! 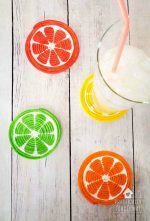 Get the kids involved, make some guesses about how the colors will turn out, and see who is right! 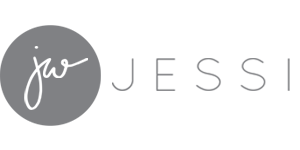 The color chart will tell you how to get the colors you want, whether they’re brighter and more intense, or softer and more muted. 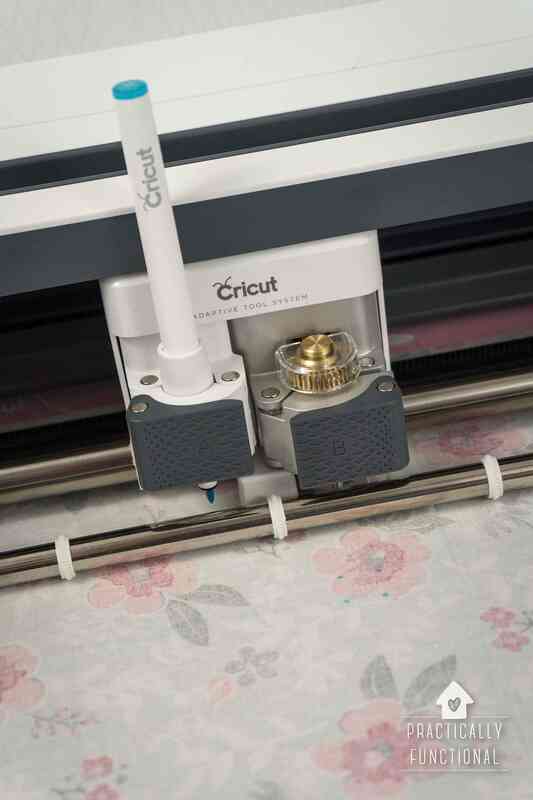 But be prepared to go with the flow a bit; results will vary because, unlike store-bought dye, no two natural ingredients are exactly alike and won’t produce the exact same color time after time, no matter how careful you are when creating the dye. There are two methods for dyeing Easter eggs naturally: the cold dye method and the hot dye method. 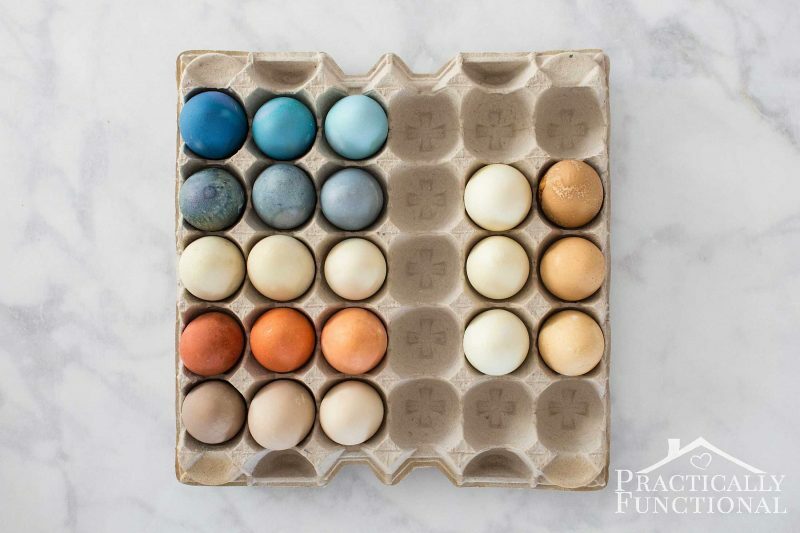 The cold dye method calls for cooking the eggs, and separately cooking the dye, then putting the eggs in the dye once the dye has cooled to room temperature. 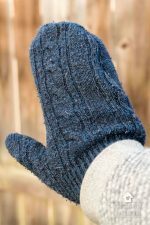 This results in soft, subtle colors, but the coloring may be slightly uneven and mottled (though this can give you the cool specks and flecks in the color that you see in the photo above!). 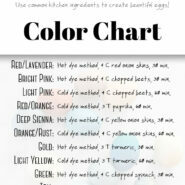 The color chart below will tell you which method to use for each color. 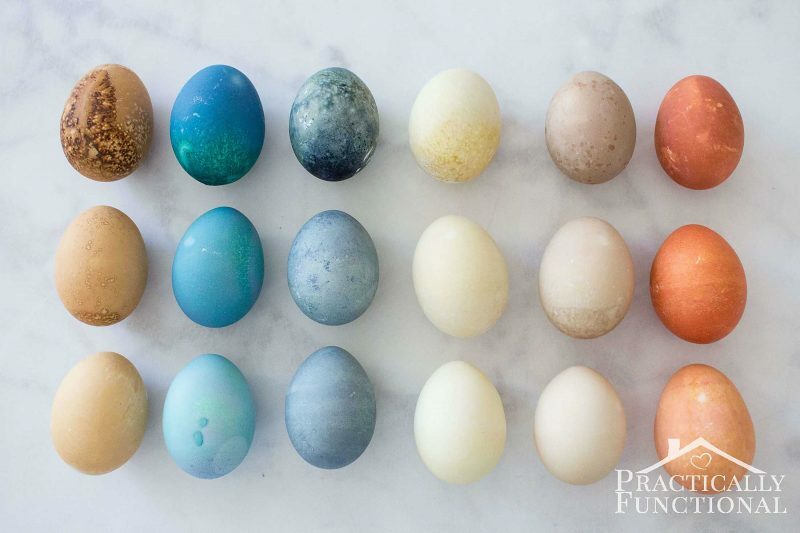 Remember, you can always get additional colors by dyeing the egg one color, pulling it out and wiping it dry, then dyeing it in a second color! Start by hard boiling your eggs. 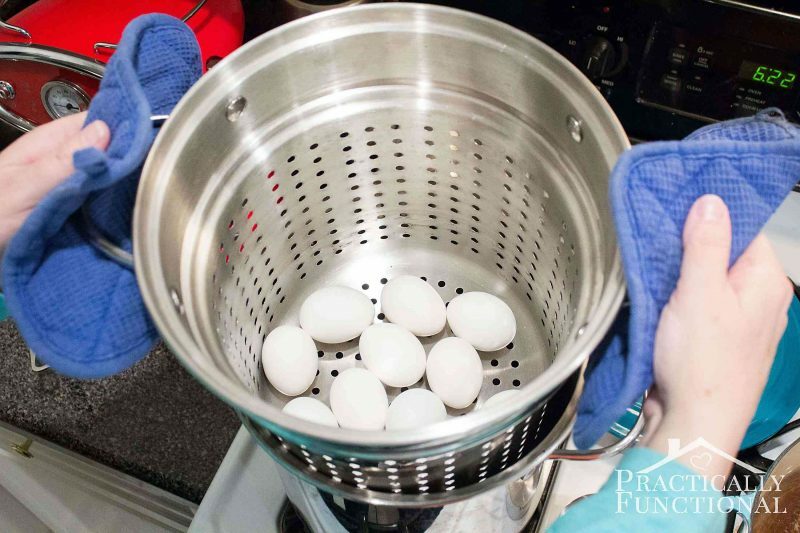 I shared my trick for the perfect hard boiled eggs every time earlier, so check that out if your hard boiled eggs are sometimes a little overcooked or hard to peel. I used a big pan with a pasta insert so that I could easily pull the eggs out of the water after they were done cooking. 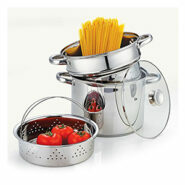 If you don’t have a pan that comes with a pasta insert, you can get a separate one, like this one that will fit a 20 quart pot, or this one that should fit most 8 quart pots or larger. 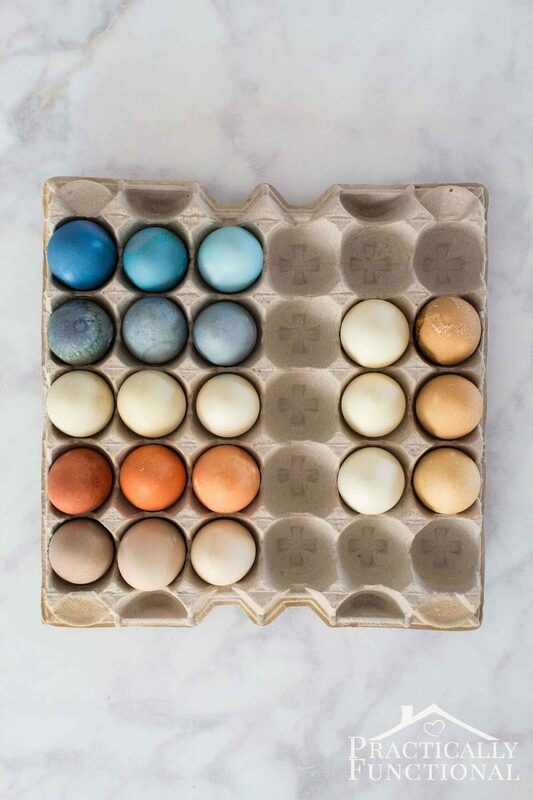 Set your eggs aside in the fridge once they are hard boiled, then you can make the dyes. 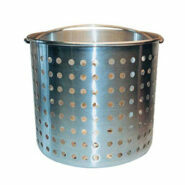 Choose your dye ingredient, and put that in a pot on the stove according to the directions in the color chart. NOTE: When using coffee or grape juice, don’t add additional water and skip to the part where you add vinegar and your eggs (no boiling needed). Add 4 cups of water; bring it all to a boil, then reduce to a simmer. Allow the ingredients to simmer for 15-30 minutes (the longer you let the ingredients simmer, the stronger the dye color will be, but anything past 30 minutes doesn’t really help much). 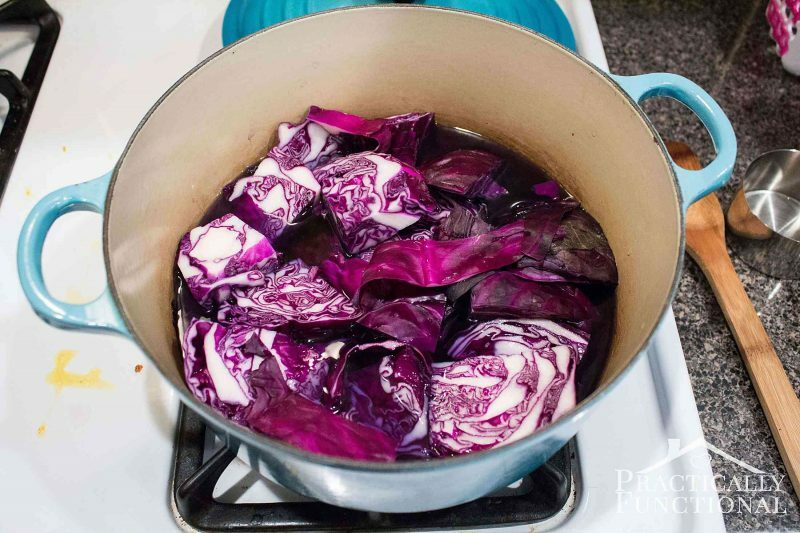 Strain the solid ingredients out of the dye, and set the dye aside in a bowl, cup, or mason jar. Add 2 T white vinegar to the dye and stir to incorporate. 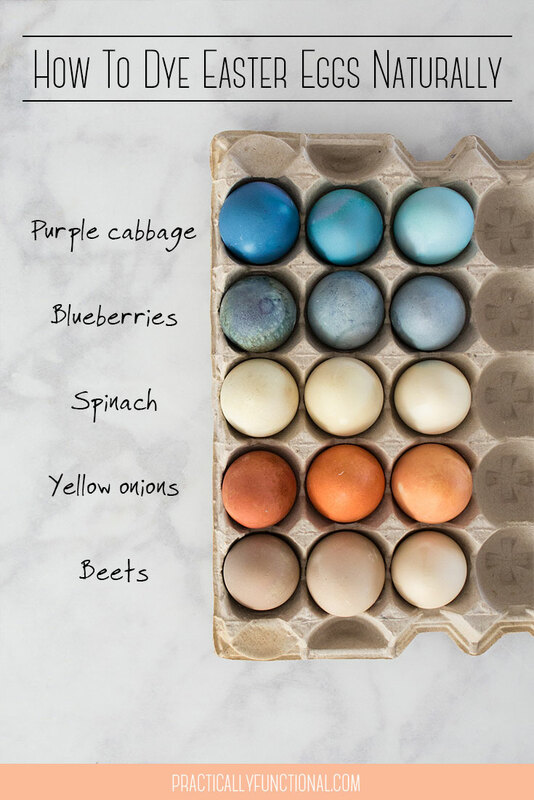 Add your eggs and leave them in the dye according to the times listed on the color chart. 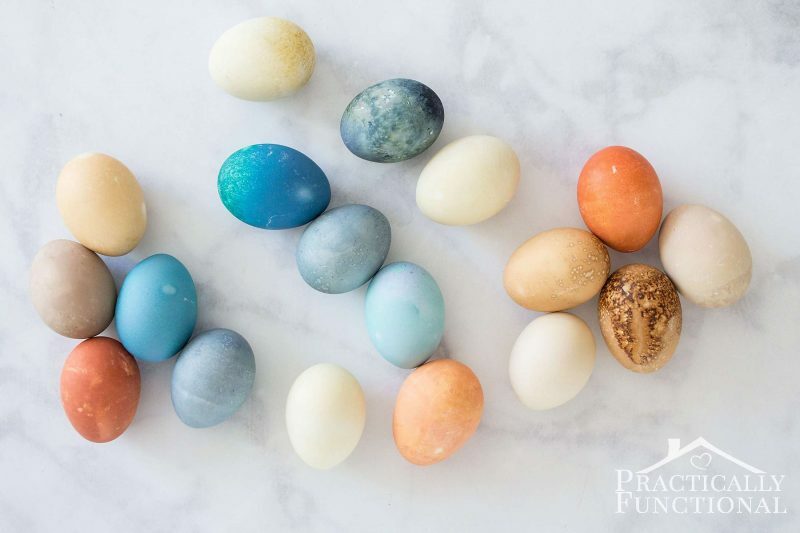 Once the eggs are dyed, remove them from the dye using a slotted spoon, and set them on a paper towel or wire rack to dry. 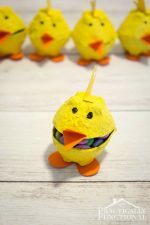 You can also pat them dry with the paper towel, but this will remove some of the color and make the finished eggs even more soft and subtle. Choose your dye ingredient, and put that in a pot on the stove according to the directions in the color chart. NOTE: When using coffee or grape juice, don’t add additional water, but do add vinegar and eggs and boil according to directions below. 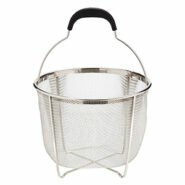 Add your eggs, 4 cups of water, and 2 T white vinegar; bring everything to a boil. 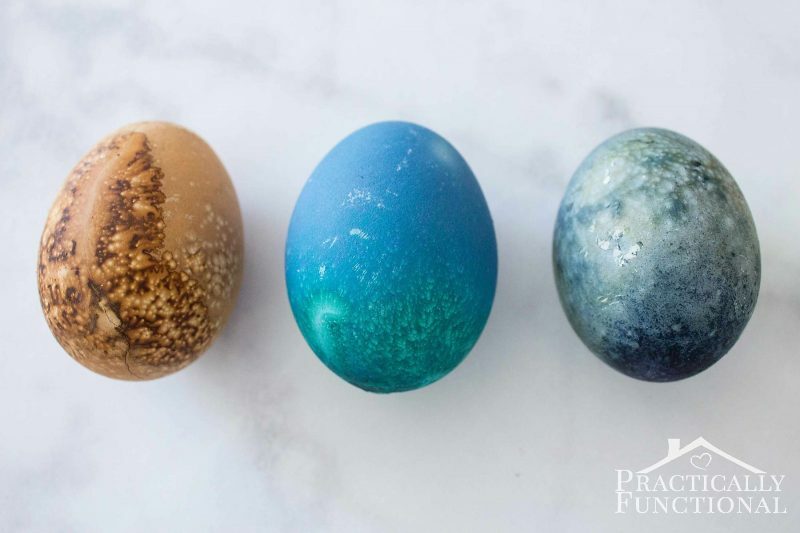 Allow the eggs and other ingredients to boil for 15-30 minutes (the longer you let the ingredients boil, the stronger the dye color will be, but anything past 30 minutes doesn’t really help much, and your eggs will be overcooked). 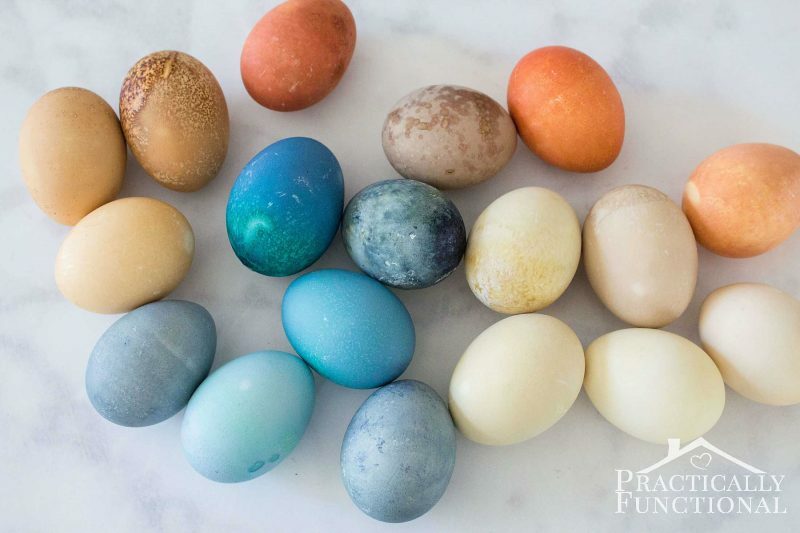 Remove the eggs from the dye and pat them dry with a paper towel (with the hot dye method you don’t need to worry about removing any color with the paper towel), and set them aside to dry on a paper towel or wire rack.